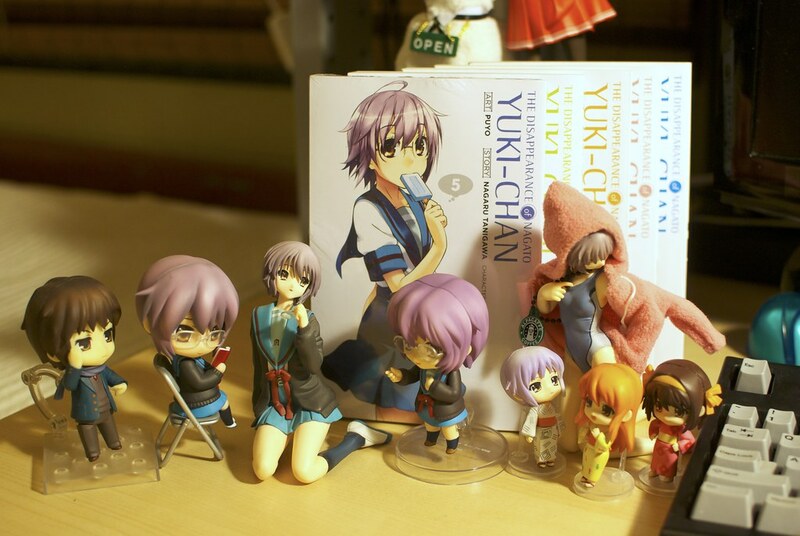 In lighter news, Clara and I managed to snag a copy of the next installment of The Disappearance of Nagato Yuki–Chan! The full sized image is on my Flickr. We've seen quite the progression of covers, from a shy and blushing Yuki, to one with more confidence. This time around, she seems almost indifferent to our presence. Without becoming a spoiler, these broadly follow Yuki's own journey in the series; both Clara and I like what they did in the covers to illustrate this. I've yet to take the wrapping off; I'm not at bag and boarding levels of obsessiveness over this character, though I may be precariously close to it. Then again, who would need to do that when they're lucky enough to be dating her?